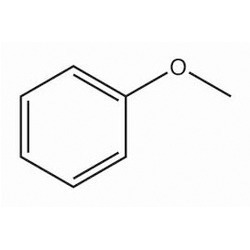 Bromoanisole, also known as para-bromoanisole or 1-bromo-4-methoxybenzene, is a clear liquid with a pleasant smell similar to that of anise seed. DESCRIPTION: Clear Colourless to Slight yellow, Liquid with Characteristic odour. ASSAY BY GLC: 99% Min.